I finished my Pacific Crest Trail thru hike almost six weeks ago, whilst I once held lofty aspirations of blogging whilst I hiked (and told everyone I was going to do so) I found this was much harder to do in practise than in theory. This led to a lot of my more distant friends and family, on not seeing any updates from me, assuming I’d been eaten by a bear in week 2, which is when my last blog post went out. 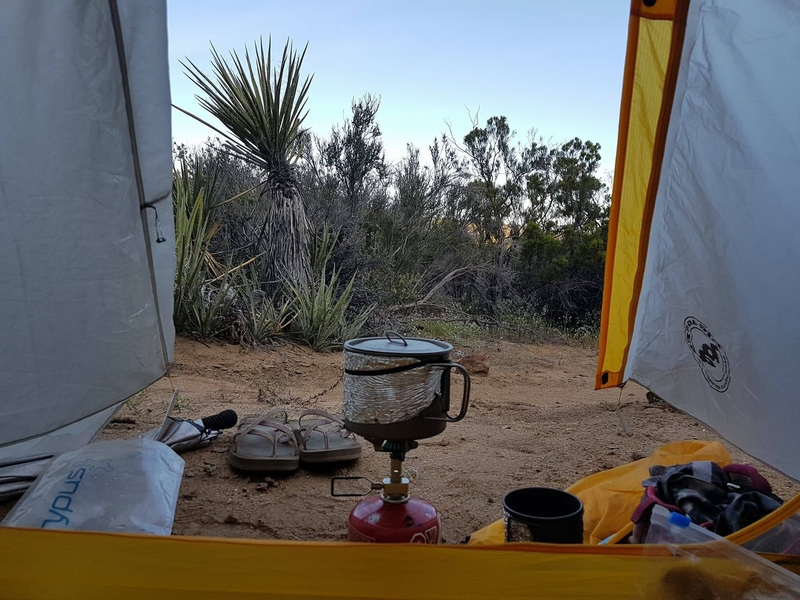 I’m still not ready to summarise my feelings about my 5 months and 1 week on the PCT into a tidy blog post or article but what I can write about is the gear that got me through along with some words of advice to those buying their gear for next year, and I have a lot of feelings about gear. 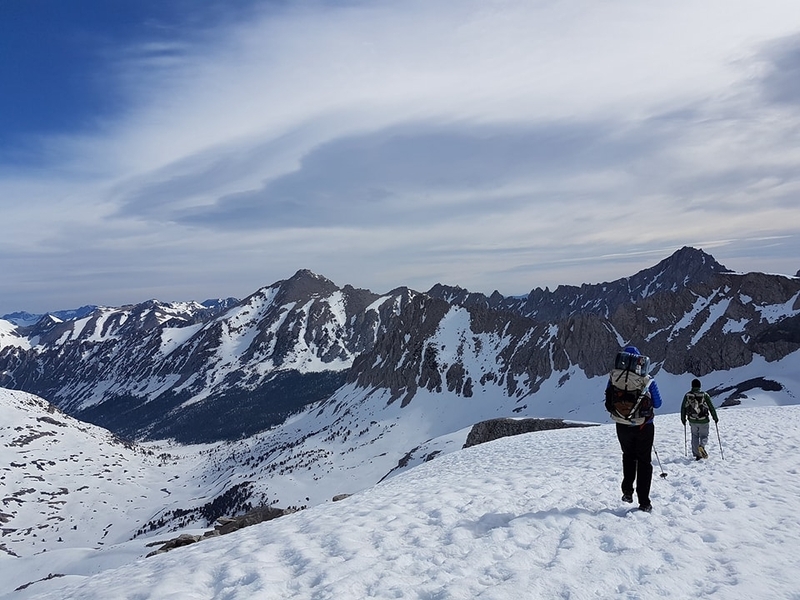 How do you pick out gear which will take you from deserts to forests to snow covered mountains and back again and sometimes all three in one day? I am a relatively weak person so it was important for me to go as ultralight as I could. 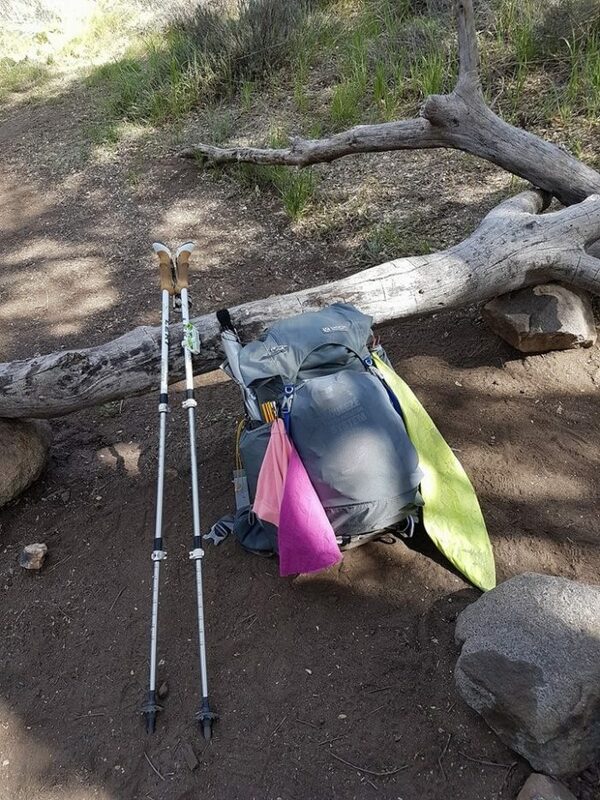 Even if you are a strong person, I’d encourage you to do the same and go as lightweight as your budget will allow you to as it will really help reduce the stress on your body and it’s just more fun to hike without a super heavy pack. I was constantly revising my gear as I hiked, adding and discarding things as I went, sending things ahead and swapping things out due to weather and conditions and you will probably do the same, so take the idea of a ‘base weight’ (the weight of one’s pack without food or water) with a pinch of salt. Almost no ones base weight remains the same for an entire thru hike. This tent has won some outdoor awards in the UK and is meant to be one of the best on the market but this piece of s#%t honestly just would not go up for me, it would take me upwards of 20 minutes to put it up every night with much swearing and the help of my ever patient trail friends. After only a few nights the eyelet where the single pole has to be inserted popped out and it wouldn’t stand up. I’m still trying to get my money back from Nordisk. 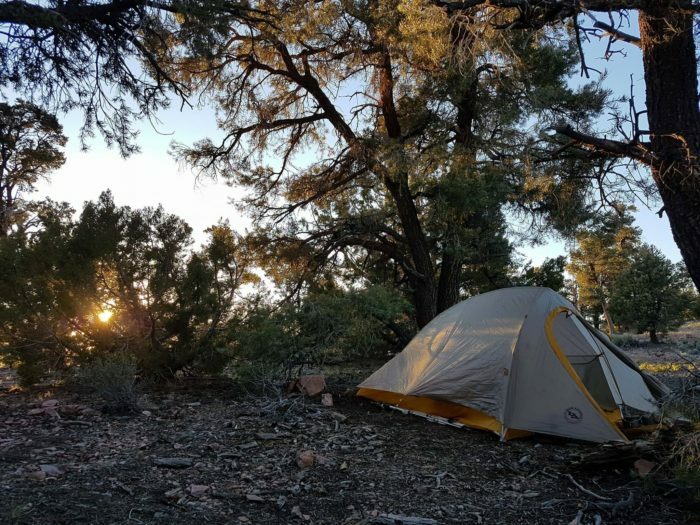 I bought a new tent at Warner Springs which really pushed my budget for the rest of the hike. I loved this tent. 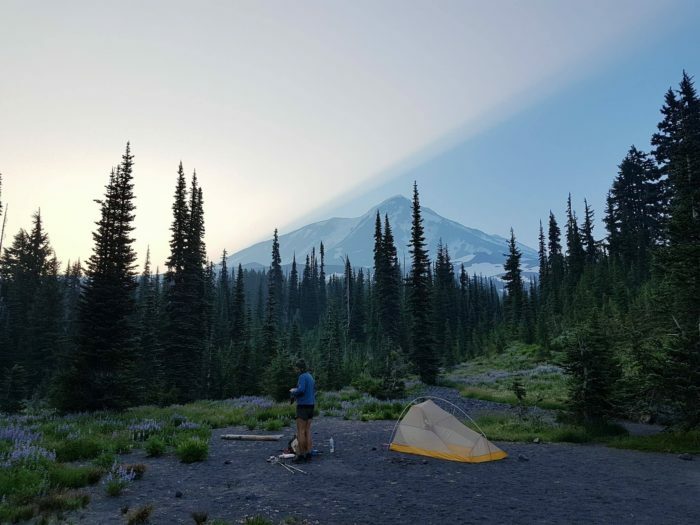 I loved that you can put it up quickly without the rainfly and sleep under the stars – there were two whole months on the trail this summer where I didn’t pull out my rainfly once. As it got colder in September the rainfly retained heat nicely and I had no issues with condensation. A few cons – there are much lighter tents on the market; by the end of the hike the tent had lots of small holes in the rainfly and floor, a large rip also appeared mysteriously in the door of mine but this was in the desert so I’m blaming it on a cactus; in rain you also have to be careful when staking it out that the rainfly and inner fly don’t touch as they seem naturally inclined to do. I used a sheet of Tyvek as a groundsheet/footprint and would recommend doing the same to avoid any tiny tears in the floor, especially in the desert where almost everything is sharp and erosive. Verdict: I’d highly recommend this tent to thru hikers, it’s durable, liveable and on the lighter end of the scale. I will patch up the tears and use my Fly Creek for future hikes but if and when I attempt another long distance hike I would think about investing in something lighter like Gossamer Gear’s The One or ZPacks’ Solpex. For a first thru hike however it was perfect and you can often find deals online. 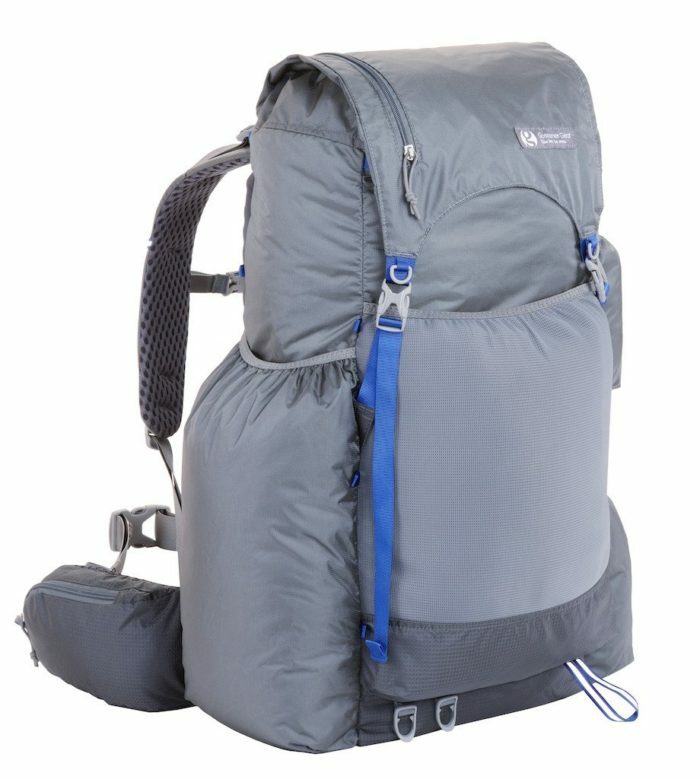 I really liked this pack for approximately 1000 miles after which big holes started to wear in the fabric around the hipbelt and the padding in the shoulders flattened, causing almost constant shoulder pain when my pack weight was above maybe 15lbs, I also had actual bruising in my shoulders. I saw this happen to a lot of Mariposas on the trail and a lot of people I spoke to mentioned shoulder pain, some had strapped extra foam padding around the shoulders to alleviate this. This isn’t really acceptable in a pack designed with thru hikes in mind and I hope Gossamer Gear are able to fix this in future designs, once I contacted them about the problem however they sent me a brand new pack for free which was great! I first used the new pack in the High Sierra with a bear canister and six days of food and had no shoulder pain whatsoever. Aside from this it’s a well thought out pack, I liked the long side pocket on one side which I used for my tent, and the smaller one on the other side which was perfect for accessing my water bottles whilst hiking. I found it to be very water resistant and I liked the removable sit pad which I used at camp and under my torso at night. Verdict: I was disappointed by the lack of durability in this pack but impressed by Gossamer Gear’s customer service. Before the padding wore out it carried heavy loads comfortably and I liked the design. It’s also one of the more affordable thru hiker packs on the market. For future hikes I would get a pack with a lower capacity as it was too big for my needs. The Enlightened Equipment Enigma was one of my favourite and most reliable pieces of gear. I opted for a quilt because it provides better warmth for weight and price and I’m glad I did, I liked that I could strap it to my pad to stop from sliding around and it was so cosy it was as close to crawling into bed at the end of the day as you can get on a trail. I’m a cold sleeper which is why I went for the 10F (-10c) quilt, I was almost always warm, I can only remember a few nights where I was properly cold like camping on snow in the Sierra when I woke up to find the outside of my bag frozen, but I can’t fault the quilt for that. I went for the ‘Long’ length because I wanted to be able to cinch it up over my head when it was really cold, the Regular only reaches the neck. For warmer nights you can release the snaps on the back and open it up. Verdict: I loved this quilt and will use for as long as it lasts. Enlightened Equipment are a small cottage industry and much more affordable than some of the high end sleeping bag brands like Western Mountaineering. I took a look at Western Mountaineering’s 10F bag (the Versalite) for the sake of comparison – it’s 9oz / 260 grams heavier and $300 more expensive than the Enigma so make of that what you will. There’s a reason this is one of the most popular pads amongst thru hikers, it’s 2.5 inches thick and super comfortable whilst taking up hardly any space in your pack. It has an R Value of 3.2 and contains reflective material which supposedly radiates your body heat back towards you and also gives it its distinctive crinkly sound when you move. Some people find this annoying but I wasn’t bothered by it, I was probably too tired to care. I went for the Regular instead of the Women’s specific pad because I’m a taller gal but the Women’s does have a higher R Value. This pad lasted for my entire hike, I did have friends who developed holes in theirs but they were able to replace them under the Thermarest warranty. Inflating this thing is a pain, for about half of my hike I used the Neoair Pump Sack which you fill with air and press down on to inflate the pad quickly and it also doubles as a waterproof pack liner. I liked the Pump Sack because I could inflate the pad in a fraction of the time, but when I realised that it wasn’t doing its job as a pack liner (it was letting water into my pack through the hole at the bottom where you attach the pad) I sent it home as I didn’t think it was worth the weight. Verdict: The Neoair Xlite combined with a sleeping quilt like the one above provides a great lightweight sleep system for a thru hike which is also comfortable, warm and won’t totally break the bank. 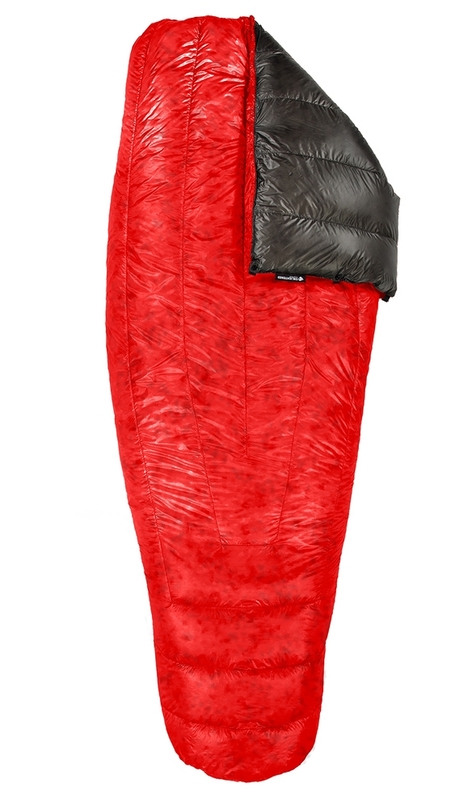 Before the PCT I used a Thermarest Z lite which is also popular on thru hikes and much cheaper but not nearly as comfortable or warm as the Xlite and you’ll likely need to replace it at least once as the foam gets compressed over time. This is nice, stable little canister stove which folds up really small. The serrated arms hold the pot in place and I only knocked my pot off once (and I’m a clumsy person, and yes I ate my dinner off the ground). The tiny screws which hold the folding arms did loosen over time but this never caused any issues for me. 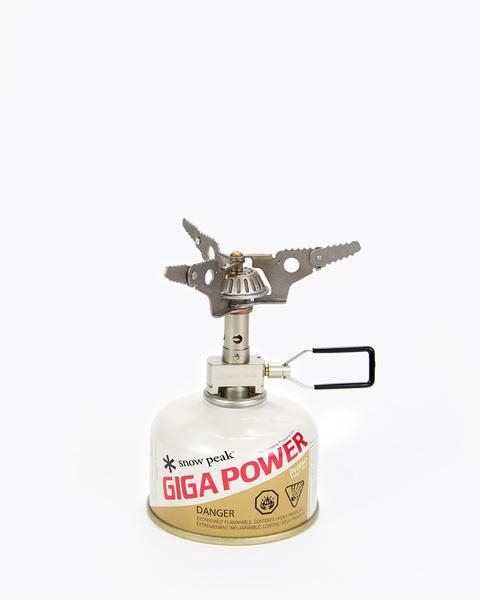 Like most lightweight canister stoves this stove eats up fuel really fast, much faster than a JetBoil, and doesn’t function very well in wind but this could be rectified with a lightweight wind shield. Verdict: I would continue to use this stove if I hadn’t accidentally left it behind in a motel in South Lake Tahoe. It’s a pot! There’s not much else to say. At 900ml it’s on the larger side but I’m a very hungry person. Verdict: Titanium is expensive so I will definitely reuse this pot for future hikes. 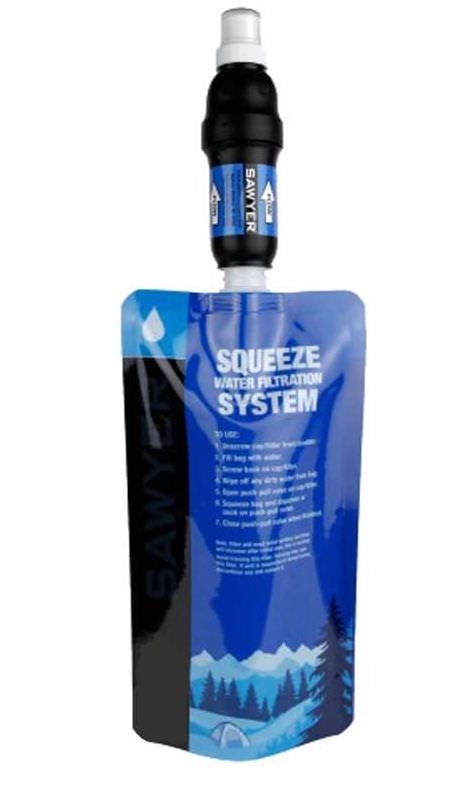 I know this is the most popular water filter on the PCT but I really wasn’t a fan, I found the whole squeezing process tiresome and I actually got through 3 of these filters over the course of my 5 months on the trail. They clog up with dirt and debris which means the squeezing process takes longer and eventually slow down to just a trickle or drips, this is why Sawyer recommend back flushing your filter regularly. I back flushed my 2nd and 3rd filters in nearly every town but after a month or two they would still slow down with use. The bottles they come with are known for breaking and the Platypus’ I used with mine always broke too after a time. A lot of people love this filter and I’m sure people have gotten away with using the same Sawyer for their whole hikes but most people I met had had to replace theirs at least once. Verdict: I will happily never squeeze my water through one of these things again. For future trips I’d try the new Katadyn BeFree or a Steripen. These are marketed as women’s specific trekking poles which I think is kind of a weird concept, but they were on sale so I bought them. They turned out to be a good buy, I liked the cork handles and they definitely seem up to the rigours of a thru hike – I used these for the whole PCT and never had to replace the tips, they’re still hardly worn down even after 2,650 miles. I did find that the poles collapsed quite a lot when I was hiking in deep snow, especially in the Sierra, but that isn’t strictly the terrain they’re designed for so I won’t hold it against them. Verdict: The handles of my poles were chewed by a deer or chipmunk one night but I’ll keep using them for future hikes and I think they have another thru hike in them yet. 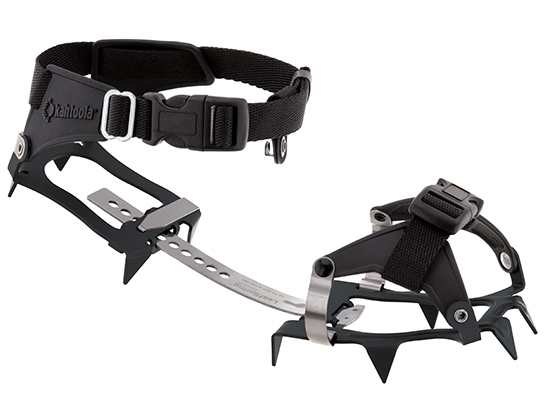 I part exchanged these crampons for my Microspikes at a tiny dusty gear/hardware store in Lone Pine after I was advised by every outfitter in town that if I entered the High Sierra armed with only Microspikes on my feet I would almost certainly die. I liked the K10s a lot, they provide much more traction than Microspikes and made me feel safer going up and down steep slopes like Forrester Pass (though I still felt like I was dancing with death on that particular pass) they’re also safe to wear with trail runners which most technical crampons aren’t. I saw some crampons actually snap in half because they weren’t designed to be worn with trail runners. I didn’t end up getting an ice axe because I don’t which end of an ice axe goes up and I was overwhelmed with conflicting advice about their usefulness. Verdict: I liked having crampons in the Sierra because of the heavy snowpack this year. I borrowed some Microspikes from a friend to use for the snow we met further up the trail in Northern California and Oregon and held onto them until Washington. I would use both again depending on conditions. The Spot Gen3 has a few more features than your standard ‘PLB’ (Personal Locator Beacon), you can send out an S.O.S call vis GPS but you can also request help from pre-selected contacts, send a pre-programmed message and set it up to track your co-ordinates. I bought the Spot mostly to ease my anxious parents, who liked seeing where I was using the tracking feature. When I was out of range for longer than expected I could also quickly let them know I was ok. The cons? As well as paying for the device you also have to set up a Spot service plan, which is a yearly subscription covering the various services, at a cost of about $20 a month. 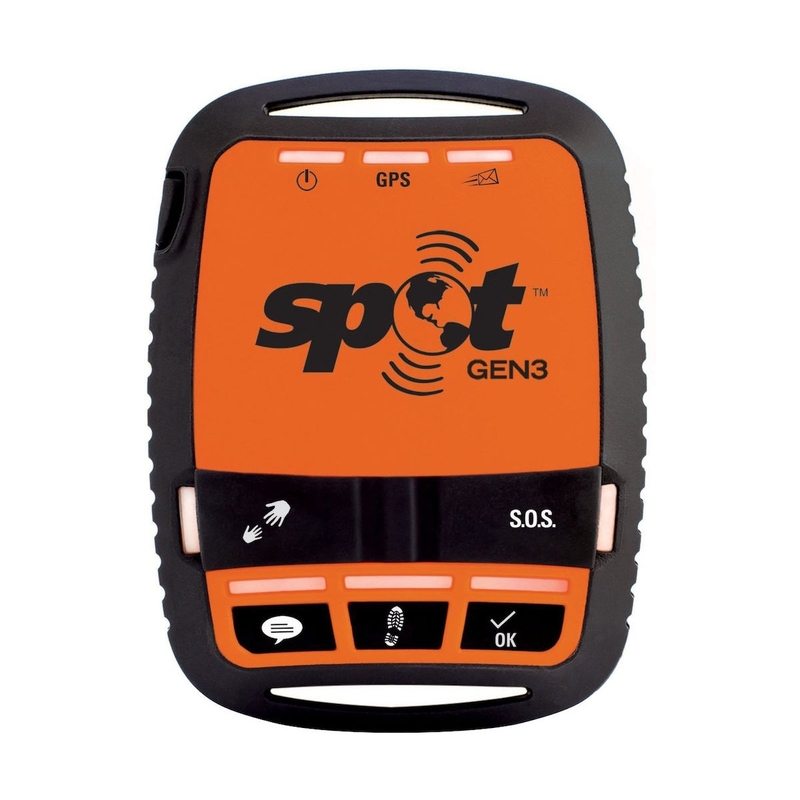 Verdict: I liked the extra features on the Spot Gen3 and it’s much cheaper than a Satellite phone but the monthly fee pushes it over the edge for me. I find it really annoying that you have to set up a yearly subscription – so you’re stuck paying $20 a month for a year even when you’re off trail and cannot do it on a month to month basis. I was worried this little rechargeable battery pack wouldn’t have enough capacity to charge my devices but it turned out to be more than enough. I used it to charge my phone, iPod and headlamp and never ran out of charge even on six day long stretches. This is the lightest battery for weight I could find and it worked great for me throughout my hike. Verdict: I will use this battery pack again for future hikes. feature I really liked, a quick charge seemed to go a long way though I tried to recharge it at least briefly in each town stop. A friend did point out to me that I’d be screwed if I was night hiking and the battery died as I’d have to stop and recharge it rather than just replace the battery, that never happened to me though. I found that 150 lumens was plenty of light for setting up camp and cooking, but it wasn’t quite enough for night hiking and only really illuminated a few feet in front of me. 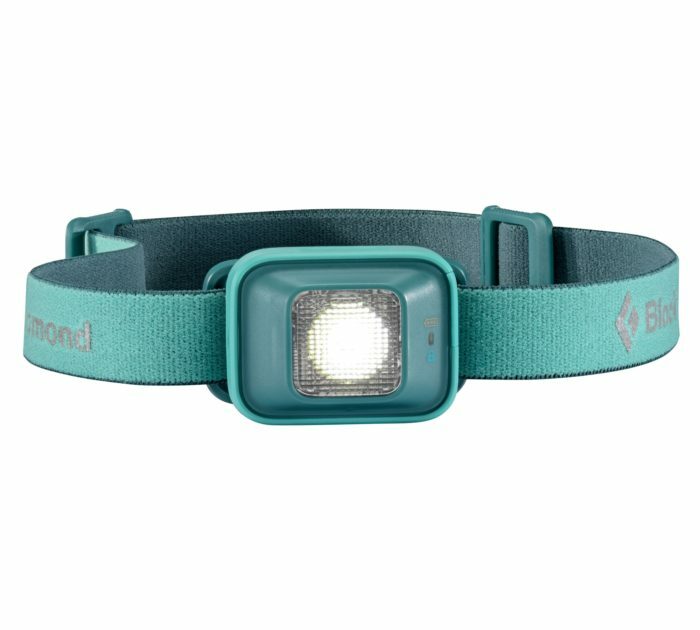 Verdict: I would use this headlamp again unless I was planning on some serious night hiking, in which case I would opt for something with more lumens. That’s it, this isn’t a complete gear list and doesn’t include everything I carried, I also haven’t included clothes in this list but will cover them in a future review. If you have any specific questions about any of the gear I used please let me know in the comments and I’ll be happy to answer them. Thank you for your kind thoughts Battista! I hope you get to spend some time on the PCT on your trip, it’ll be worth it. Hiii! As far as sleepwear- did you wear base layers the whole trek? I’ve hiked the AT and slept in the same light base layers for the most part but I know PCT will definitely have colder spots. Hey, yes I did – I wore a long sleeve icebreaker merino top and long (cheap) rei underwear for the whole trail. I probably didn’t ‘need’ them on the warmer parts of the trail but I did like having clean/dry clothes to put on at night and I wore them whilst doing laundry in town. Thanks for your gear review. 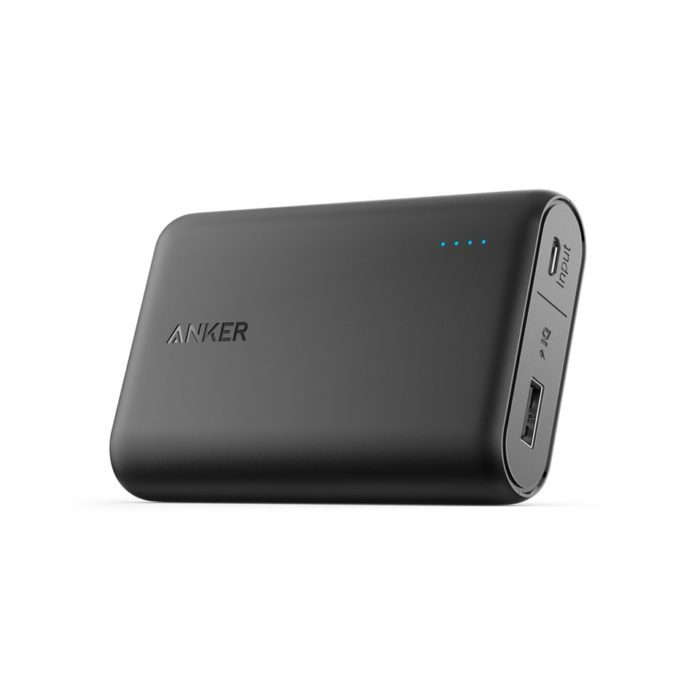 For my 2018 pct hike I was going to take a 12oz solar charger but after reading your review I think I might opt for the Anker PowerCore 10000. Thanks. What would you advise? Is it still ok to go for it? May I ask you how much money the whole trail costs for you? Hi Daniek, that’s a very personal decision to you and I couldn’t really answer without knowing your circumstances – in short, yes, you can successfully plan a thru-hike last minute but it may be difficult to get a permit at this stage. I don’t really know how much the trail cost for me in total – for gear alone it was over $1000 though. Good luck whatever you decide!